I am a third generation missionary. My mother’s parents were missionaries in China and India for about 20 years. My mother was actually born in China. My father’s parents also went to China as missionaries but had to be evacuated to the Philippines as World War II broke out. They ended up spending 3 ½ years in a Japanese prisoner of war camp before returning to the US. My parents also felt the call to missions. My father became a medical doctor, and our family spent 5 years in Liberia, West Africa when I was a young child. We returned to the US in 1976. My parents later went to Suriname, South America as church planting missionaries in 1986. They planted four churches during there 26 years of ministry there. I grew up in a Christian home and was saved at a young age. I felt called to preach during my teen years and after high school I enrolled in Bible college. During my college years I felt the Lord leading me into foreign missions. My wife Charin also grew up in a Christian home and was saved at age 13. We met in college and were married in 1990. With the fall of communism in 1989-1990, we felt led toward the former communist countries of Eastern Europe. God laid Hungary on our hearts, and we visited the field in 1991. We began deputation in 1992 and arrived on the field of Hungary in 1993. We have been serving in Hungary since that time. The Lord has given us a very fruitful 20+ years here in Hungary. Both my wife and I are fluent in the Hungarian language. Our children were all born in Hungary and speak perfect Hungarian without any accent. We have also learned the culture and strived to “become Hungarians to reach the Hungarians.” In 2011 we actually received Hungarian citizenship, so we are now dual citizens of Hungary and the USA. These steps have allowed us to find acceptance among the Hungarian people, and also become more effective in our outreach. Our ministry focus has always been church planting. 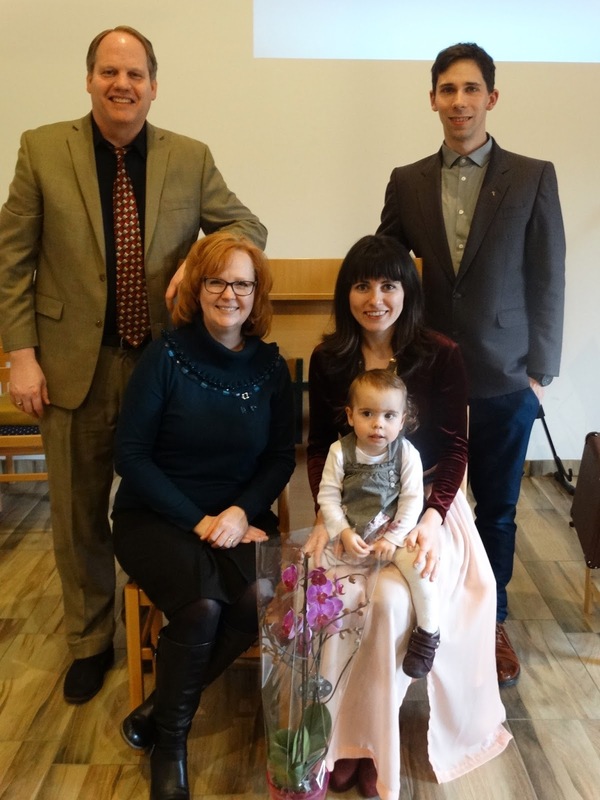 The Lord has allowed us to have a part in the establishment of two churches here in Hungary. We began the work in Esztergom in 1995. Esztergom is not a large city (30,000), but it is quite important historically and culturally. It was the first capitol of Hungary. Hungary’s first king, King Stephen, was born and crowned at the castle of Esztergom. It was he who “converted” the pagan Hungarian tribes to the Roman Catholic faith in 1000 AD. 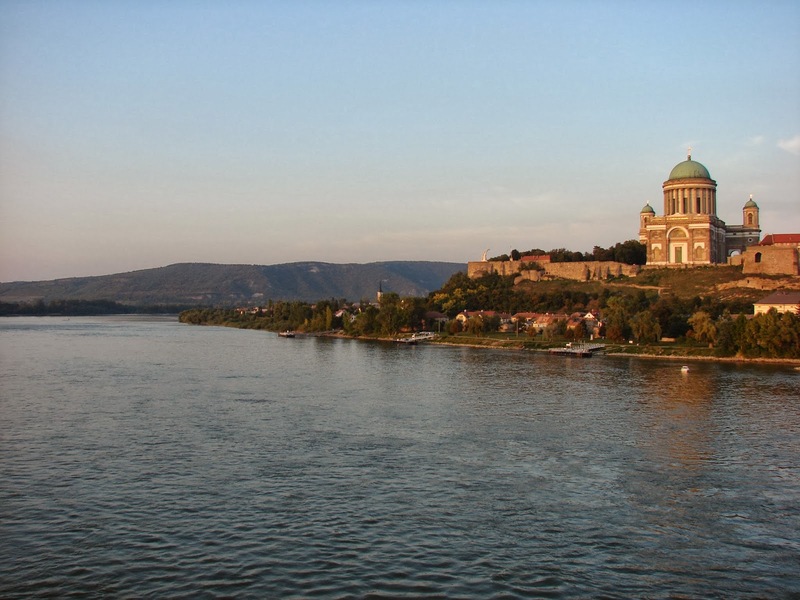 Thus Esztergom became the seat of the Catholic Church all the way until the present. The Basilica of Esztergom is the largest church building in all of Hungary, and Esztergom is known as the Hungarian Vatican. Over the past twenty years the Lord has blessed our church immensely. Although the growth has never been explosive, we have seen solid and steady growth throughout these years. We now have more than 80 baptized members and our average Sunday attendance exceeds 100. The Lord has given us some fine young men who have become leaders of our church. Besides myself, I have four men who are very capable preachers. My wife Charin has trained a number of ladies in children’s work, and we have an excellent Sunday School program. The Lord has also blessed us with a fine church building. We have a 150 seat auditorium, a fellowship hall (our old auditorium), an office and two Sunday School rooms. 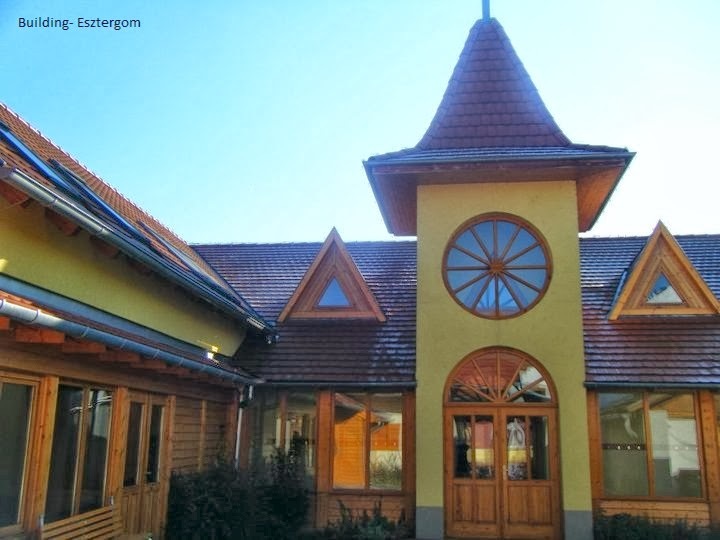 In January of 2005, we began the Esztergom Baptist Bible Institute. It meets one Saturday per month for 6 hours of classes. We have averaged 10-15 students each semester. It is our goal to train Christian workers for church ministries. from Esztergom). The church responded well to our ministry and called me as their pastor in February, 2008. I had the privilege of pastoring the church in Tata for almost 10 years. In 2008 sixteen members called me as their pastor. 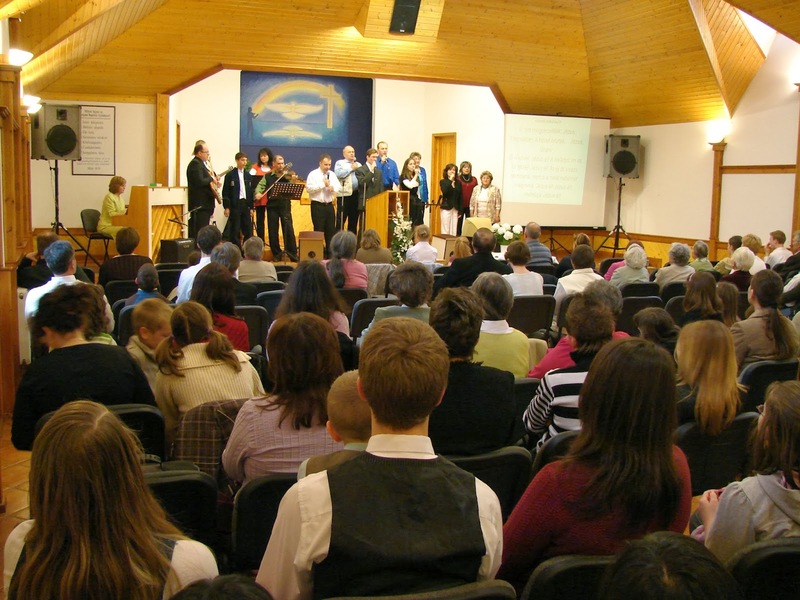 The church now has more than 40 members and runs about 60-70 on Sundays. The church owns a house, which we had converted into a small, but functional church building. In 2015 we expanded by building a new 100 seat auditorium on the back of the property. This has allowed us to spread out and also provides room for future growth. In 2017 the church in Tata reached a new milestone as they called their first full-time pastor. Gergő Szimon grew up at our church in Esztergom. As a teenager he felt called into the ministry. After completing his Bible training he became my assistant at the Esztergom church. In December, 2016 he was called to be the new pastor in Tata. On February 26th, 2017 he took over the pastoral duties. We believe that the church really needs a full-time pastor, and that Gergő is the man God has chosen to lead the church. We believe that this church will see even greater blessings under his leadership. 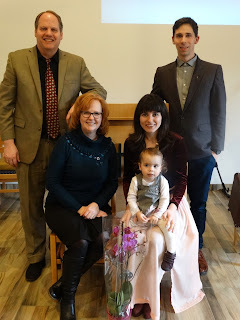 Additional Ministries:Over the past few years the Lord has opened up many other doors for us to minister in Hungary. 1) I have been teaching a class on the Christian Family at Word of Life Hungary Bible Institute since 2009. I enjoy the students and feel like it is a great opportunity to influence future leaders. 2) I also am a part of several committees within the Baptist Union. This allows me to have influence on many of the Baptist churches in Hungary. 3) I also preach 10-15 times each year in other churches across Hungary. 4) In 2016 I published my first book in the Hungarian language. 1. To see the church in Esztergom continue to grow and become a center for missions and evangelism in Hungary. 2. To see the Bible Institute produce those who will be the leaders of both our church in Esztergom and the churches that will be planted in the future. 3. To see our church in Tata grow and strengthen. 4. To assist Hungarian church planters with support, encouragement and guidance, so that they can carry the Gospel to some of the 3,000 towns and villages that still have no Baptist church. 5. To influence the existing Baptist churches in Hungary to reach their own people and become strong, evangelistic churches. The Lord has blessed us with four wonderful children. Our three older children, Nancy, Ben and Esther are all studying at Trinity Baptist College in Jacksonville, Florida. We miss having them here at home, but we are thankful to see them serving the Lord. Our youngest, Hannah, attends high school here in Hungary and is active in the church youth group. Charin is very active in our ministry working with our children, ladies and music program. She also teaches English part time at two local elementary schools. Marc Patton Global Faith Mission Agency. Sending church: Trinity Baptist Church, Jacksonville, Florida, www.tbc.org.